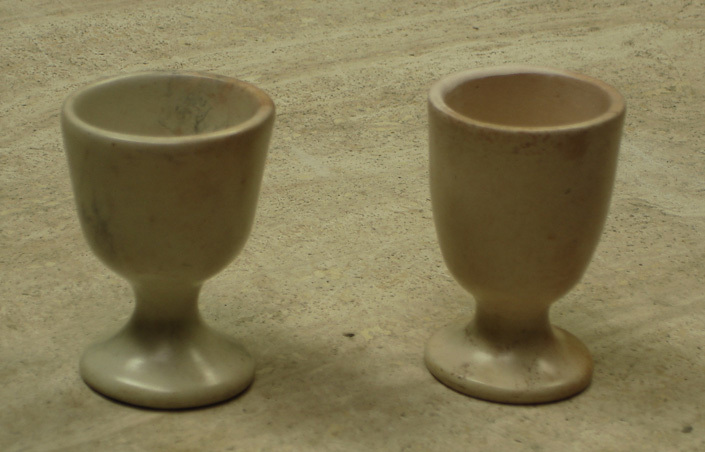 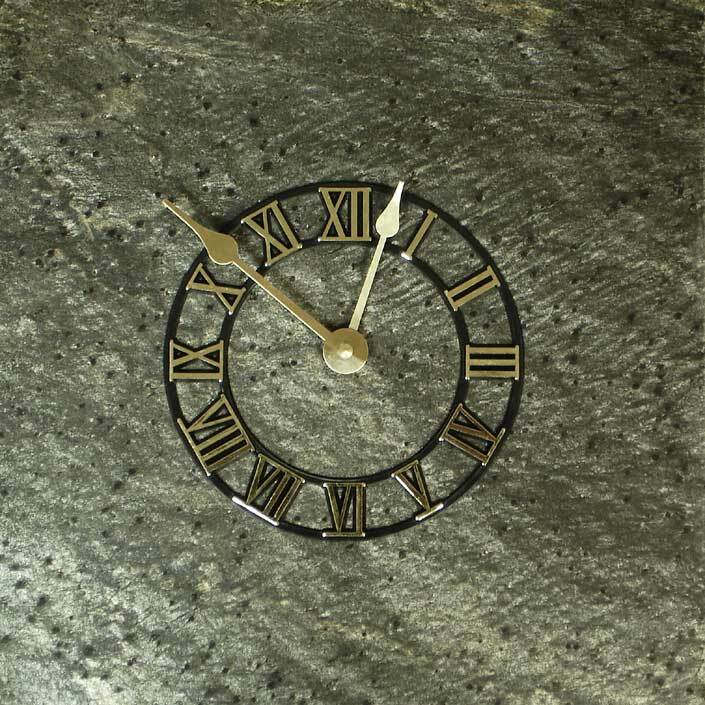 Silver and gray dominate this stone, creating a vibrant reflective surface that is hinted with undercuirrents of gold and green. 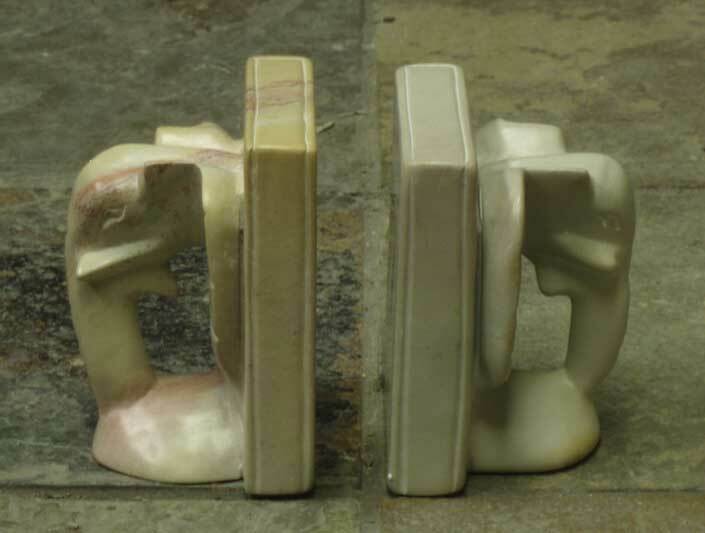 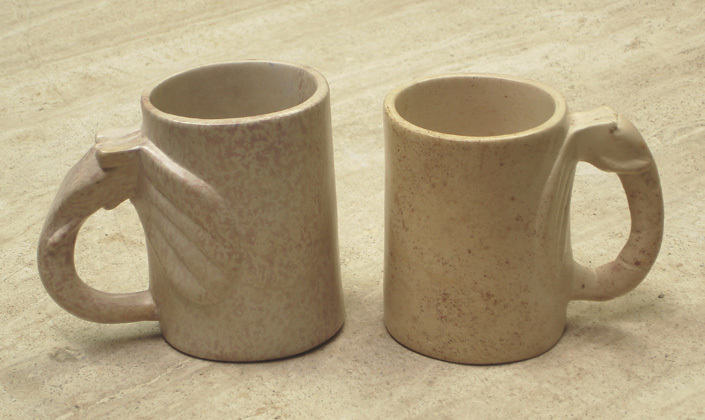 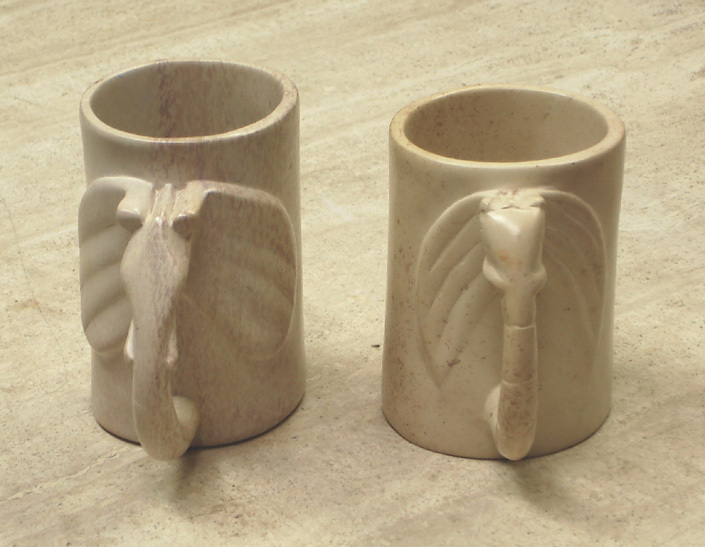 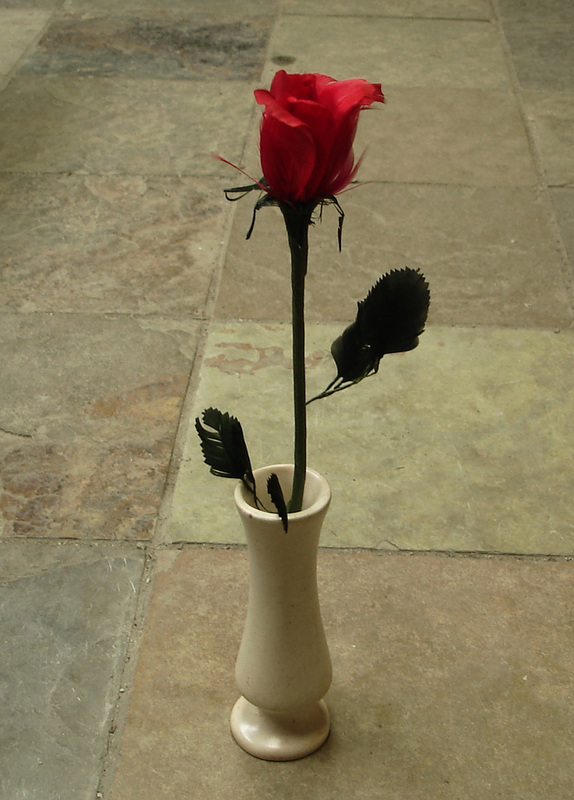 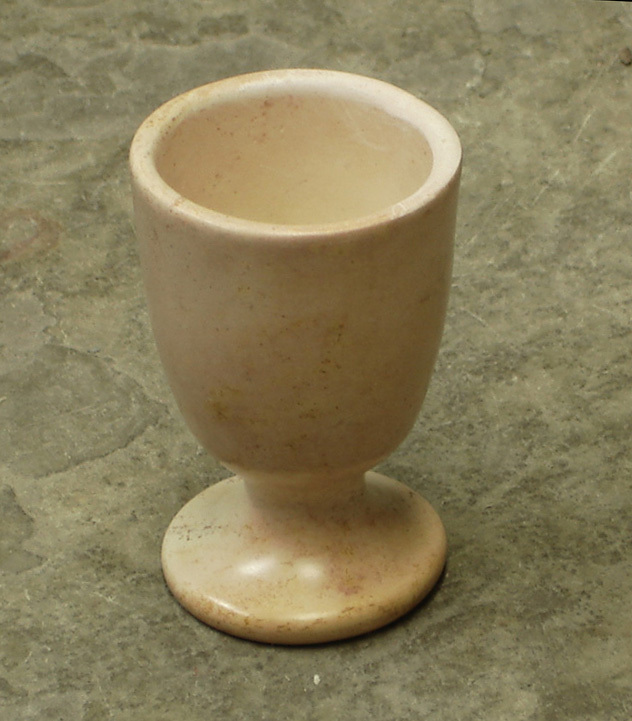 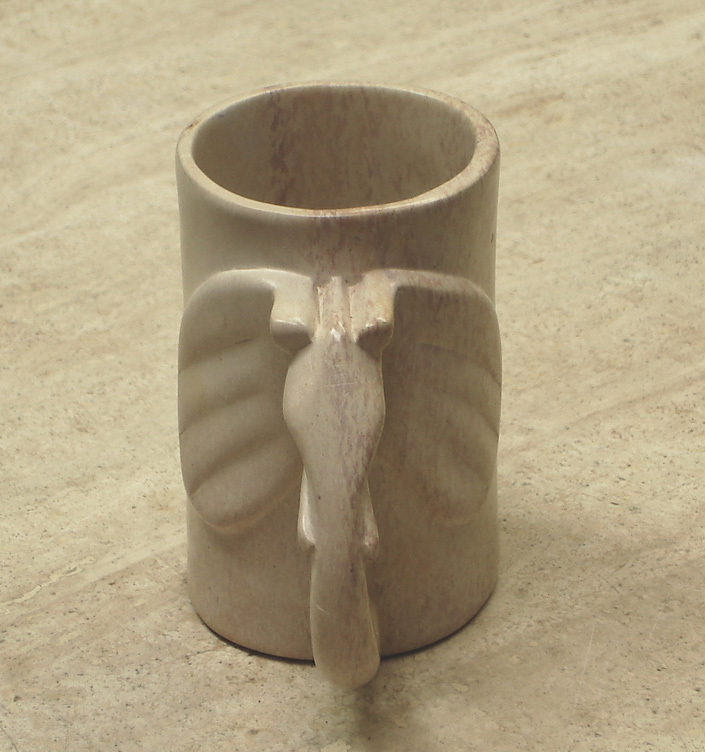 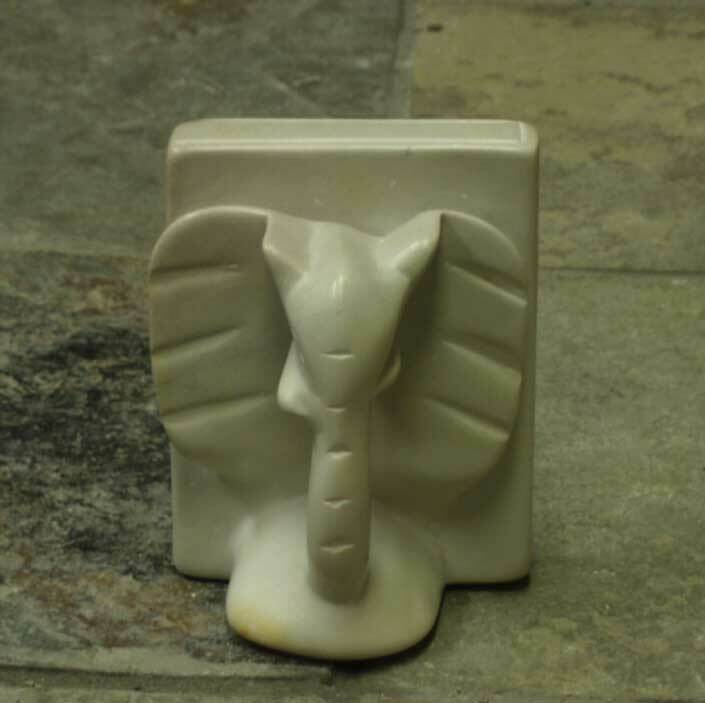 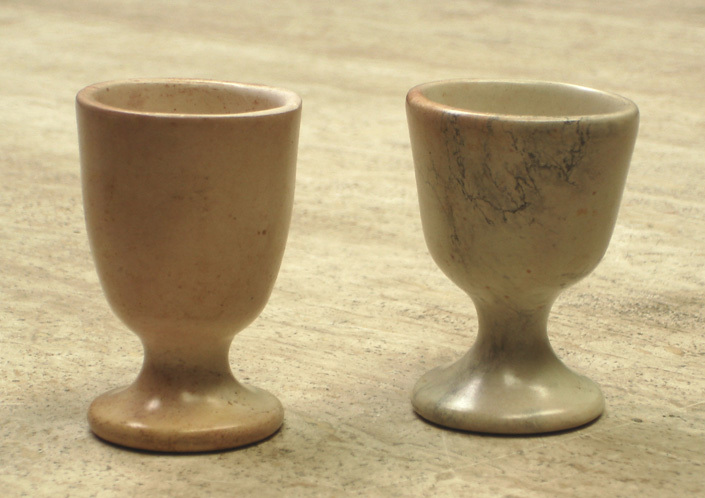 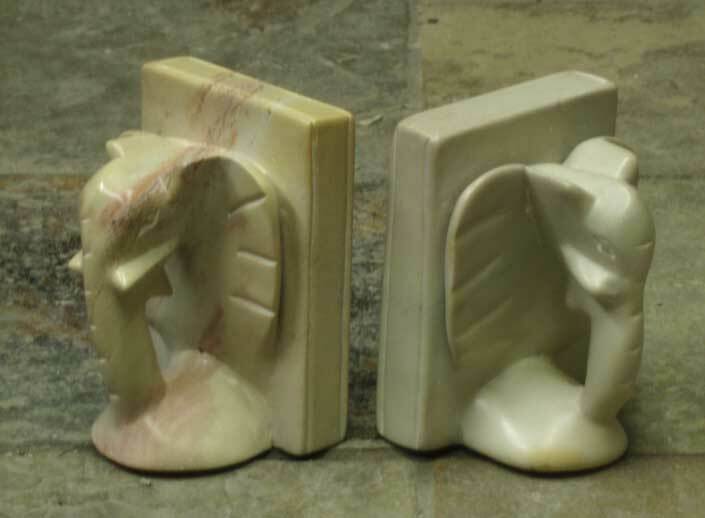 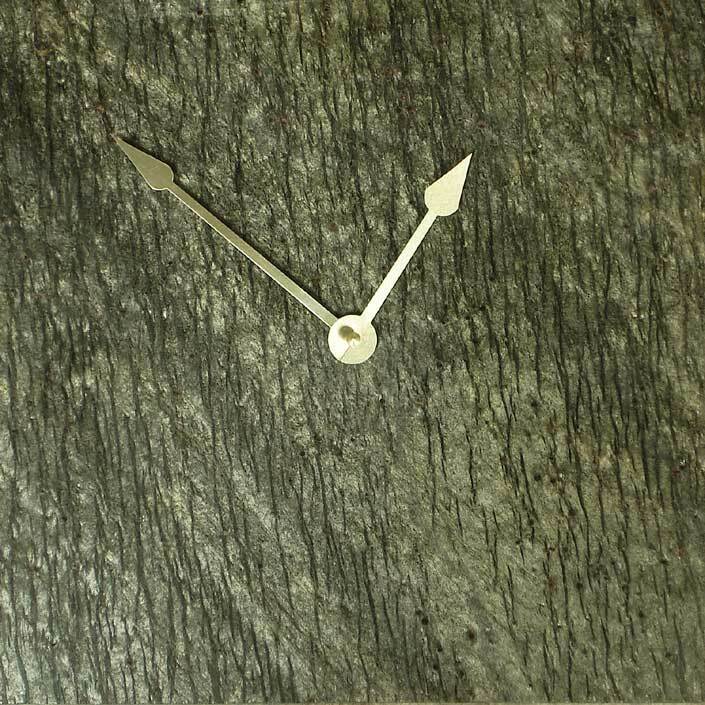 A textured array of ridges run visually through the stone, trapped beneath the smooth polished surface of the piece. 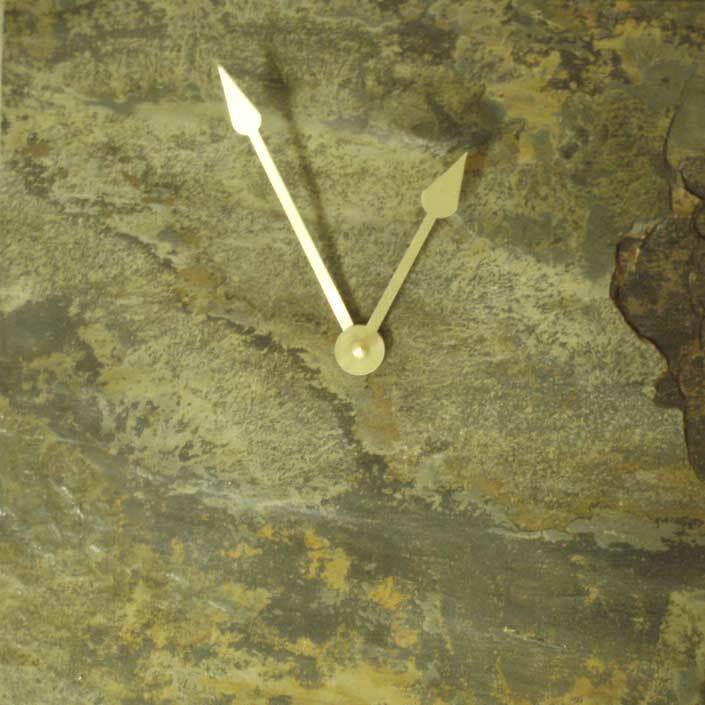 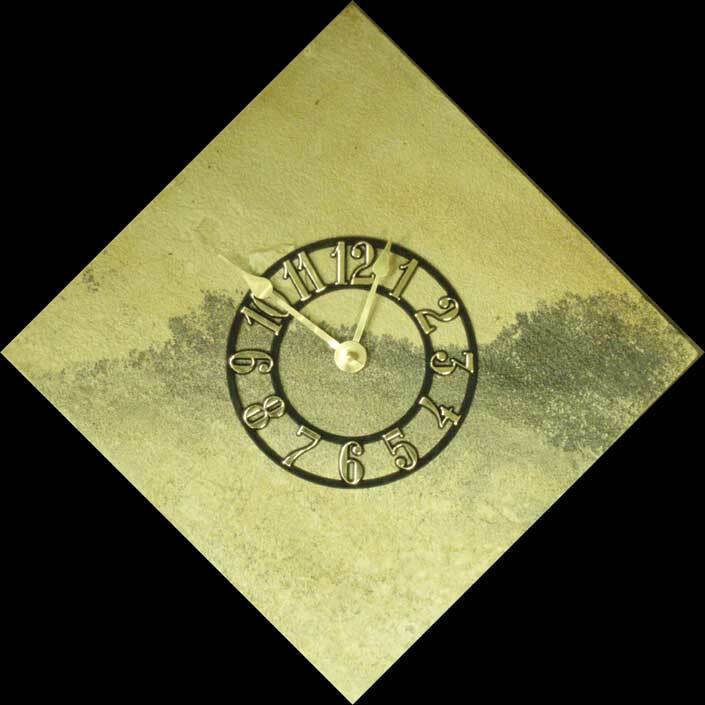 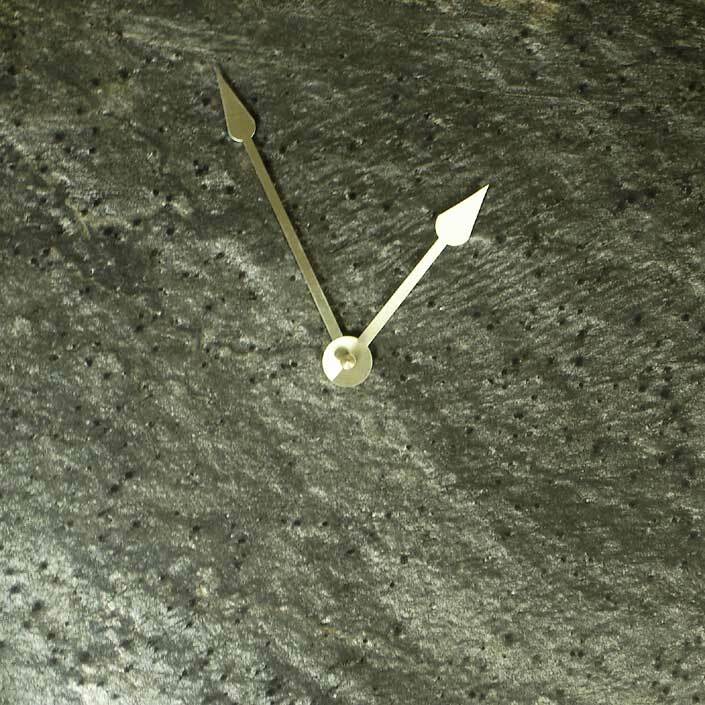 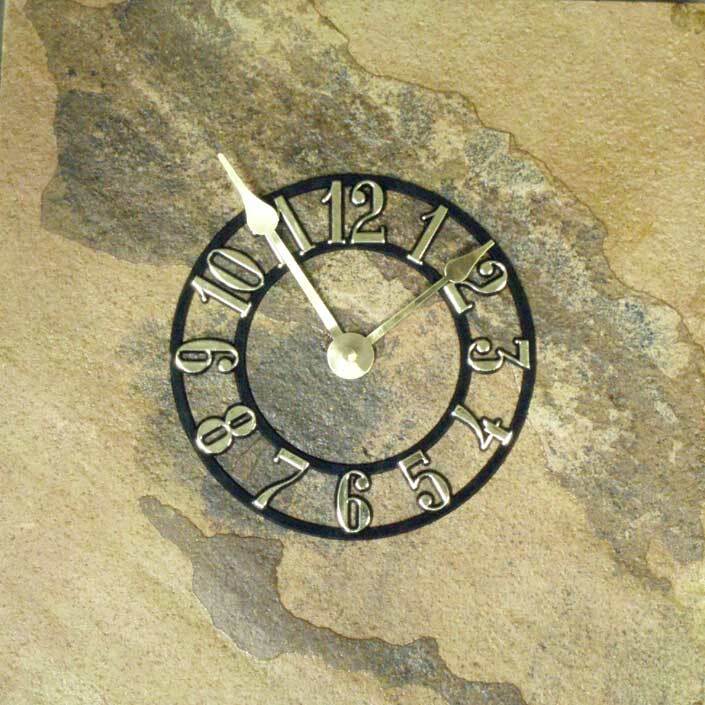 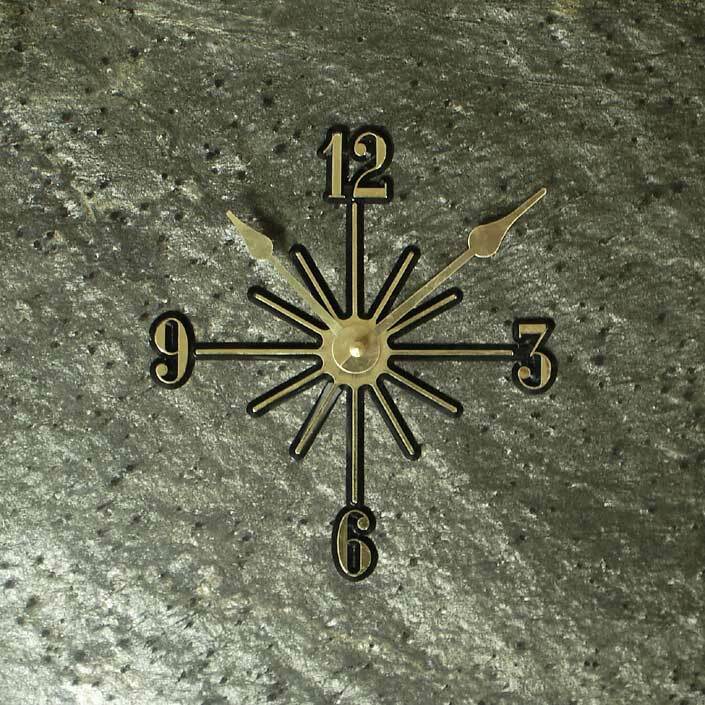 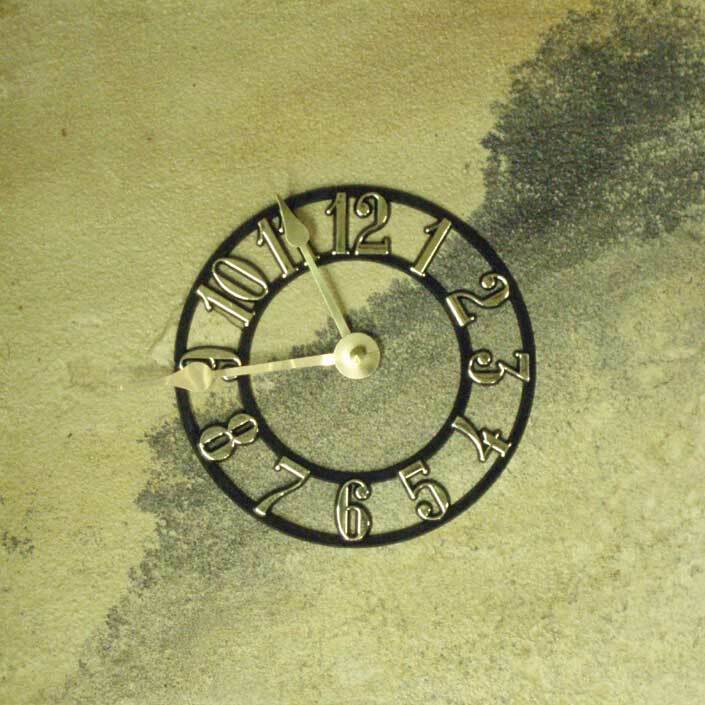 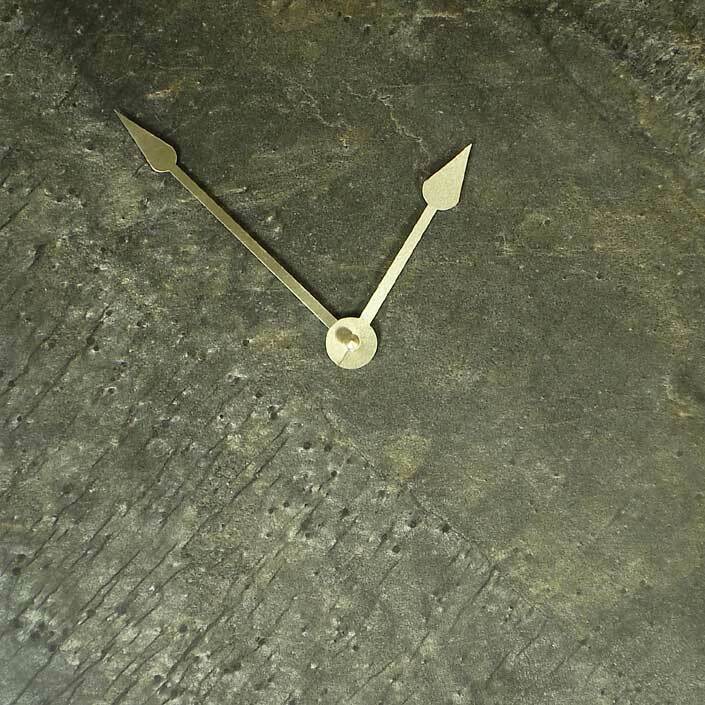 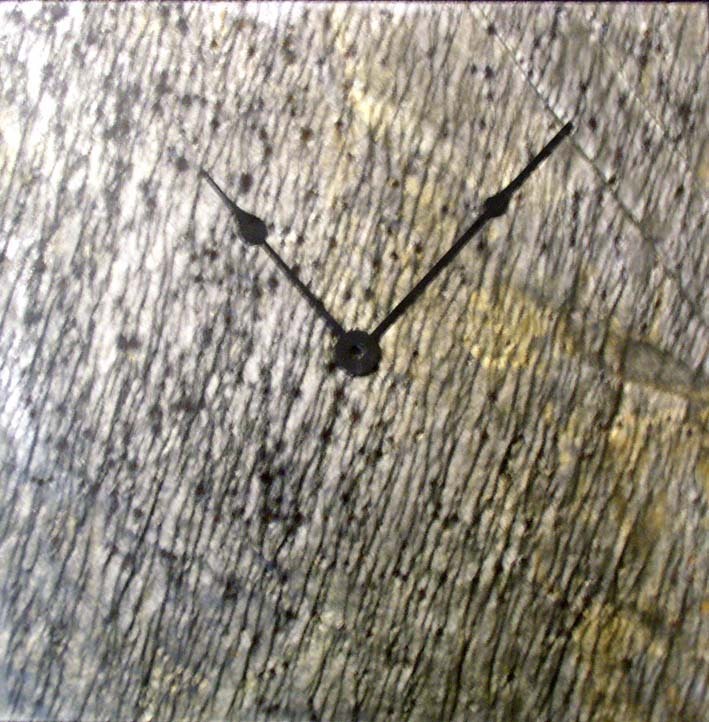 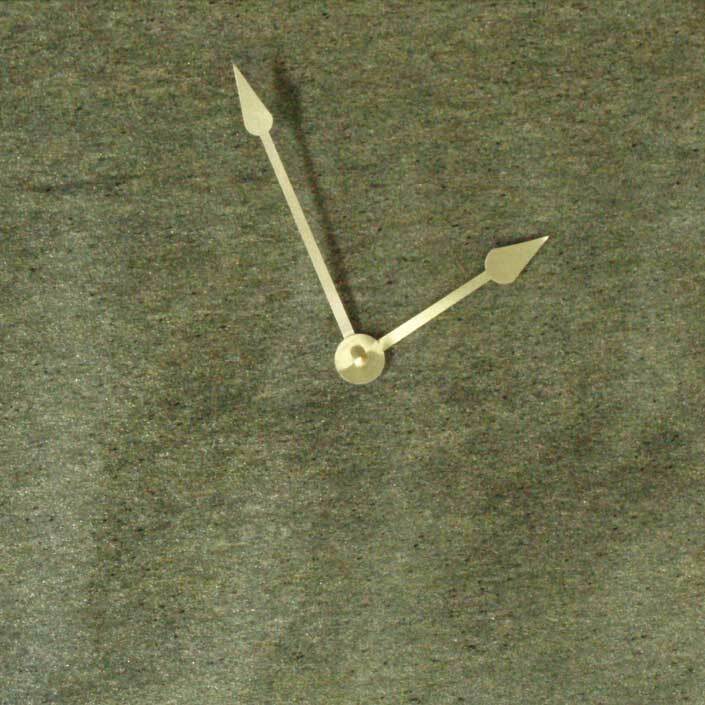 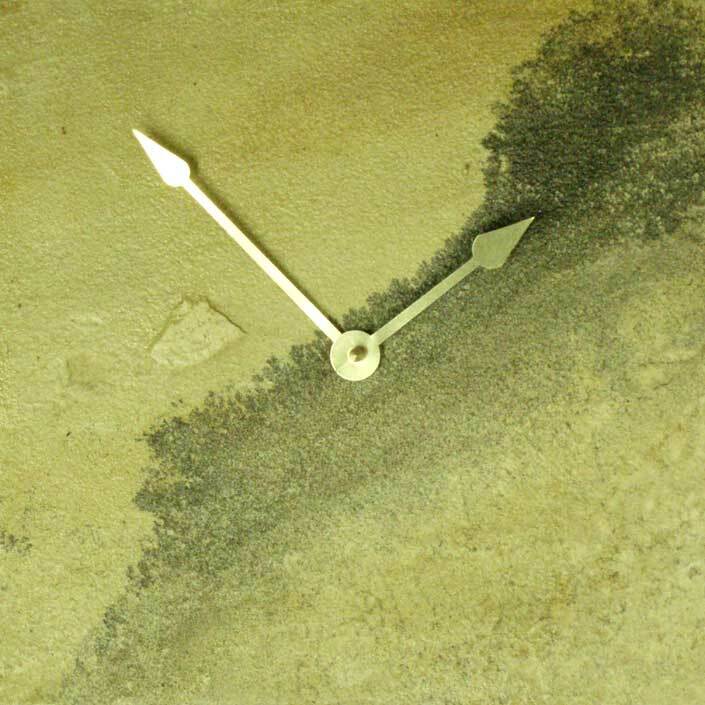 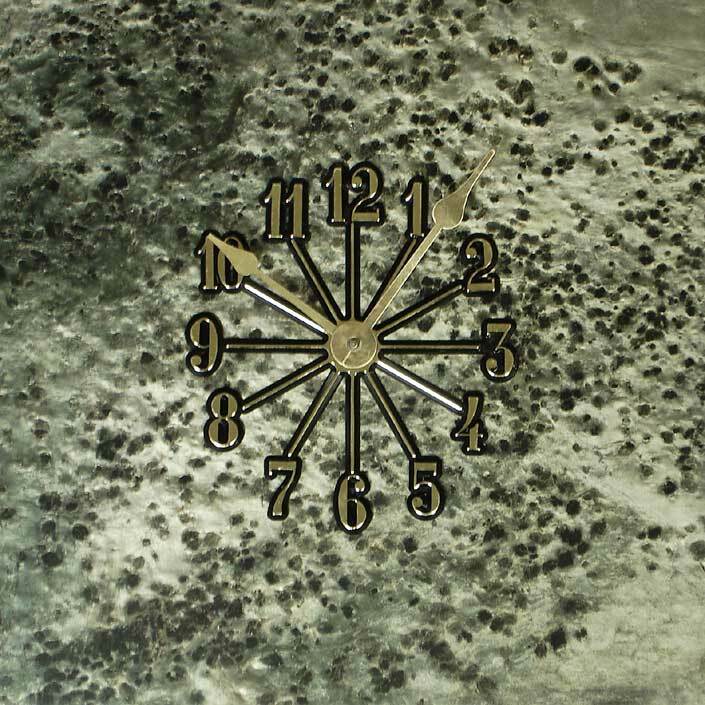 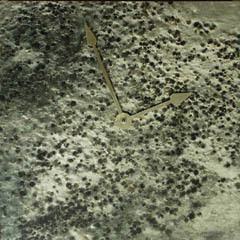 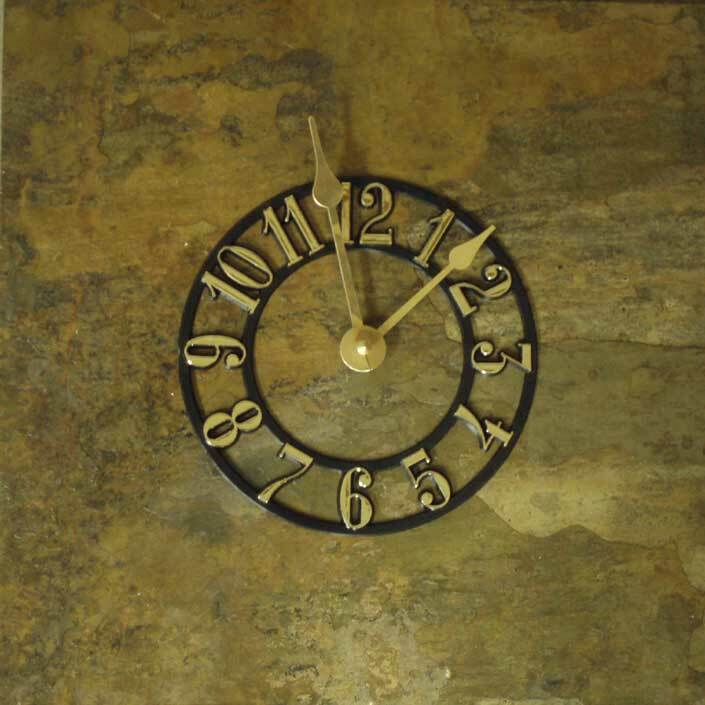 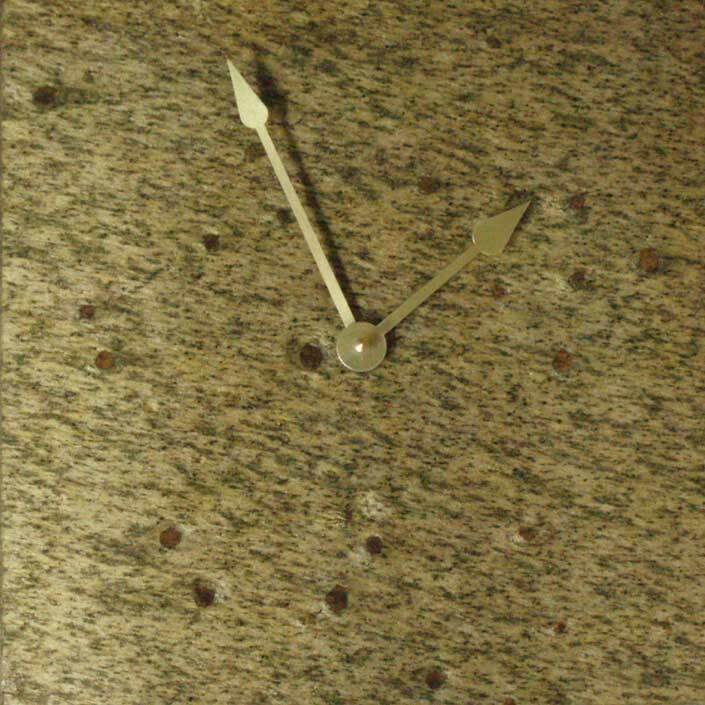 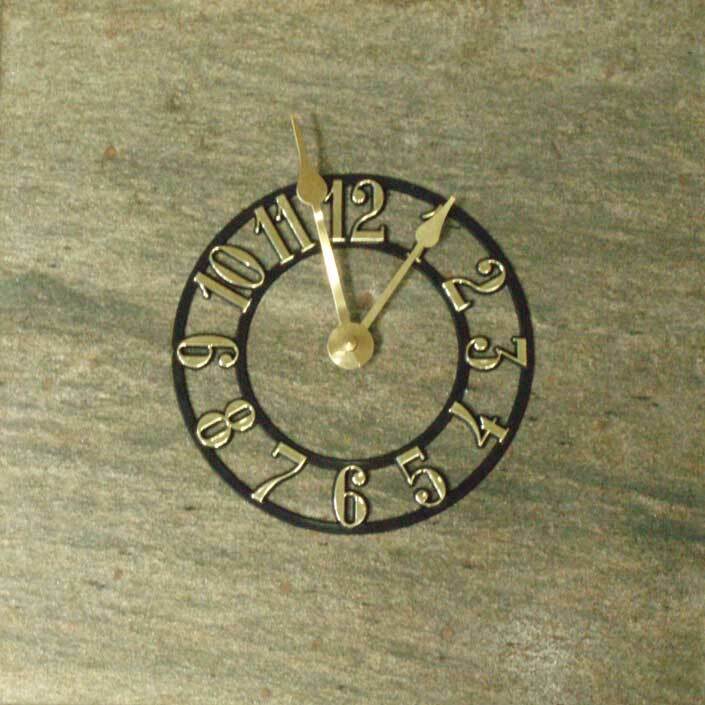 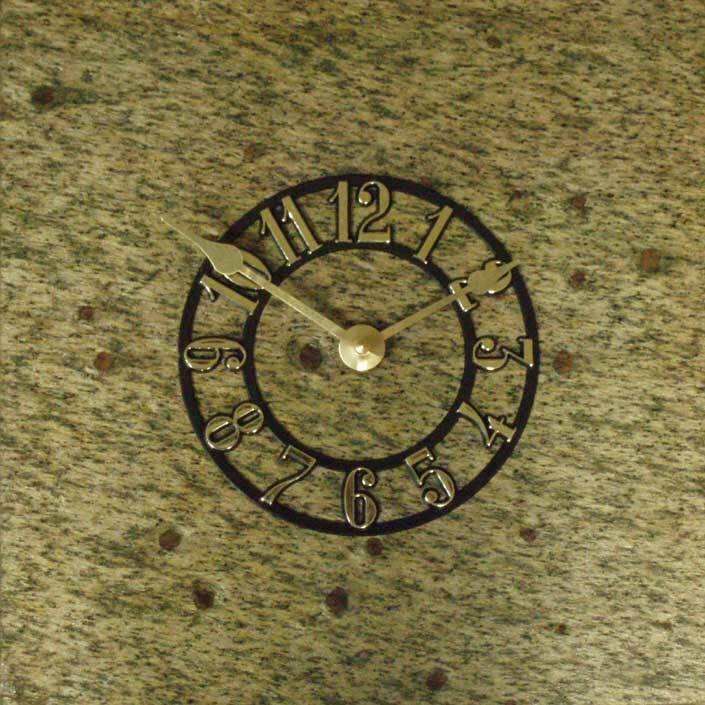 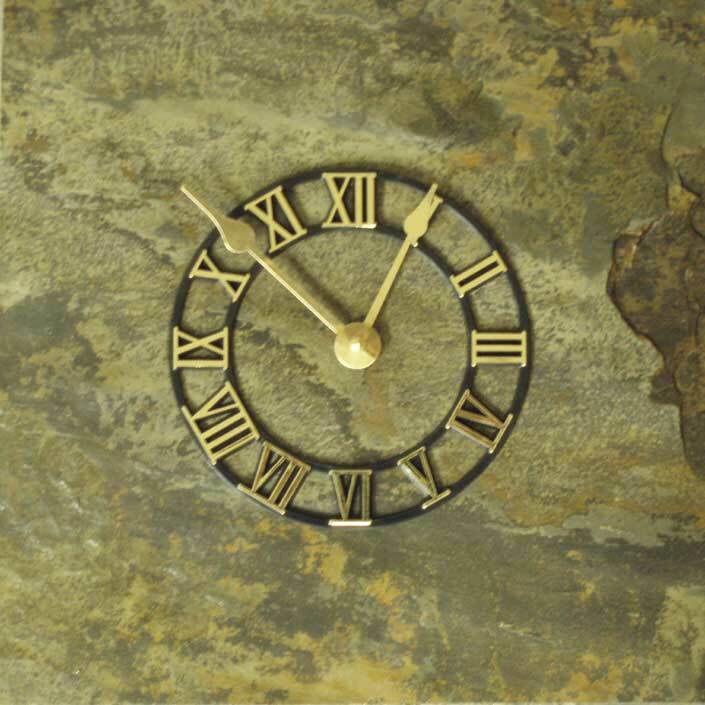 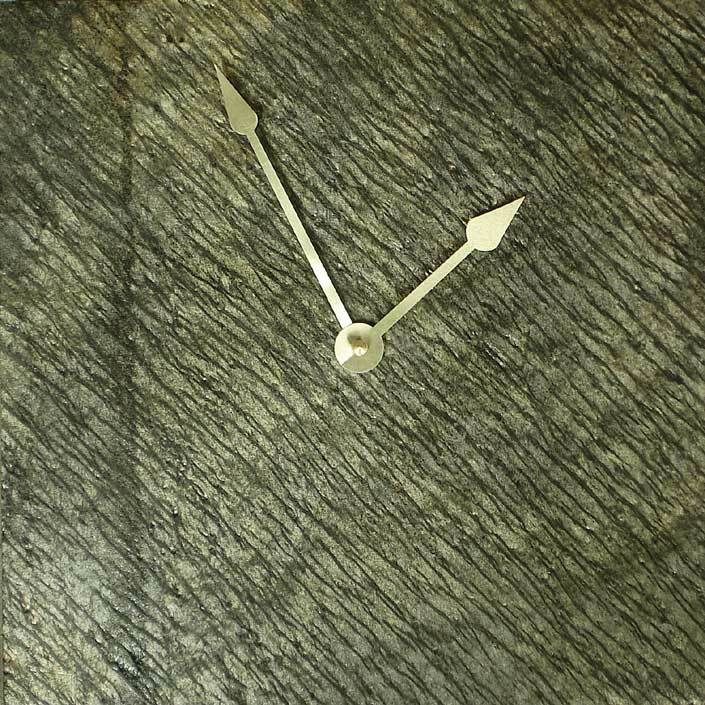 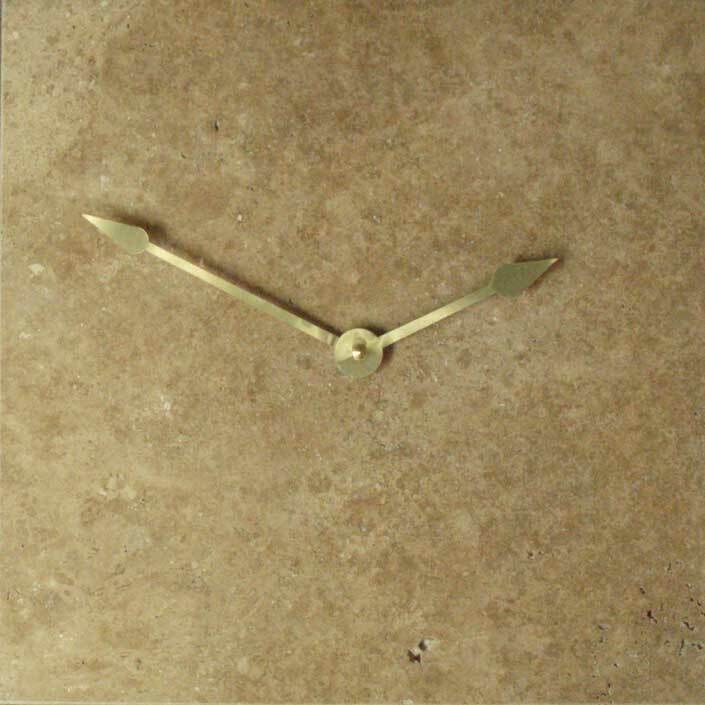 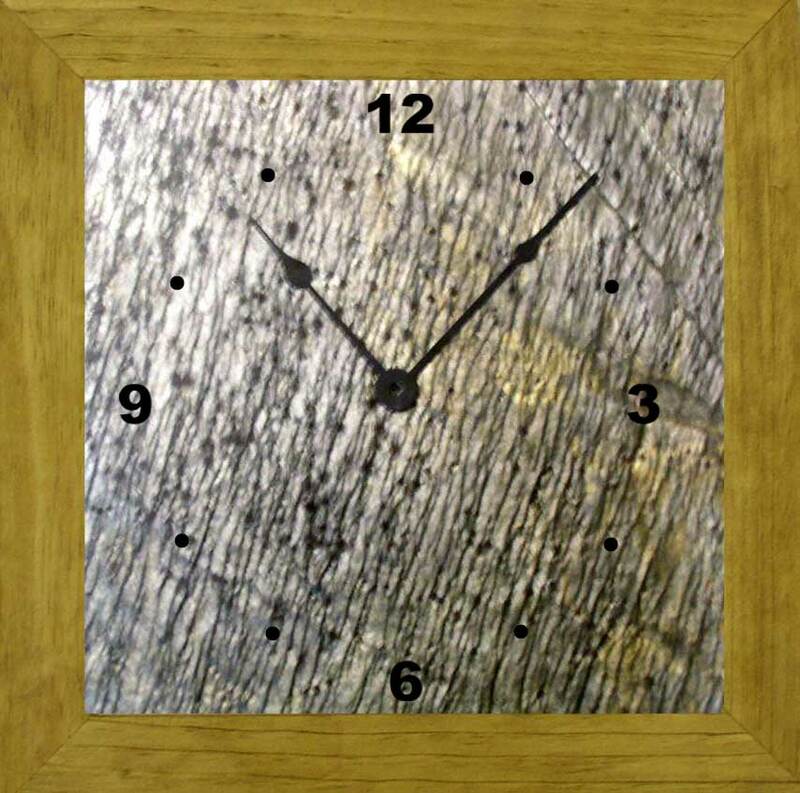 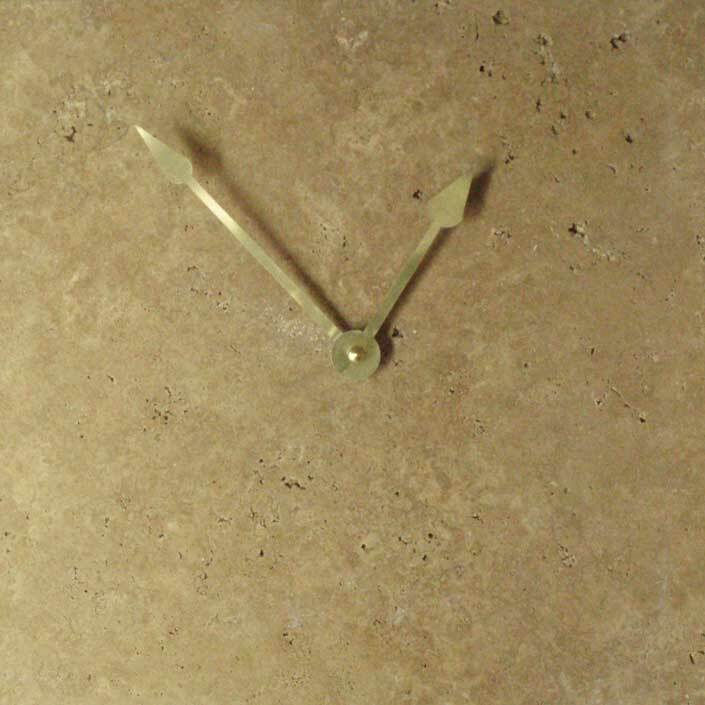 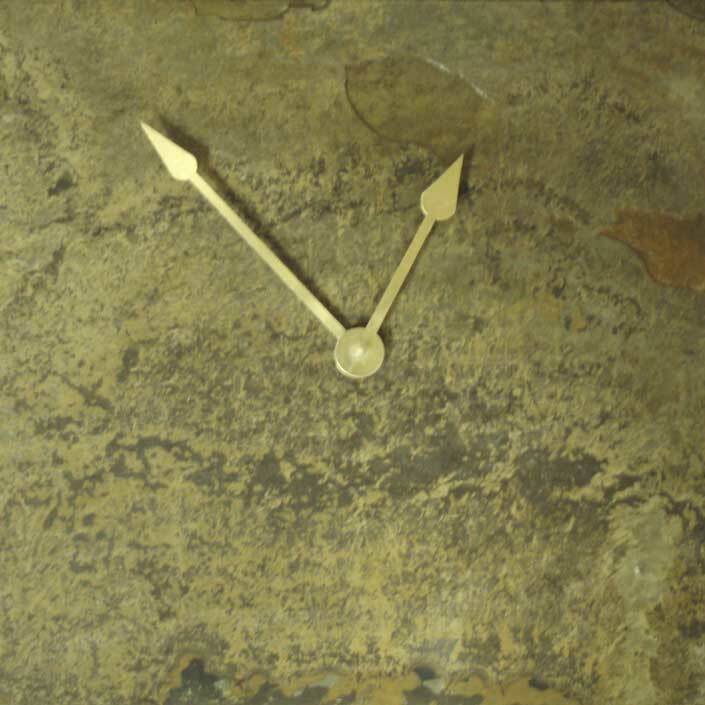 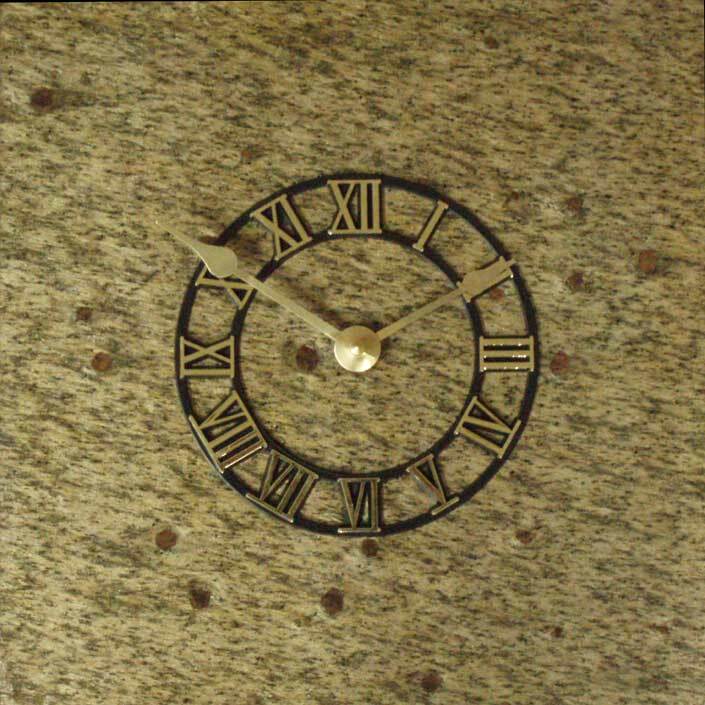 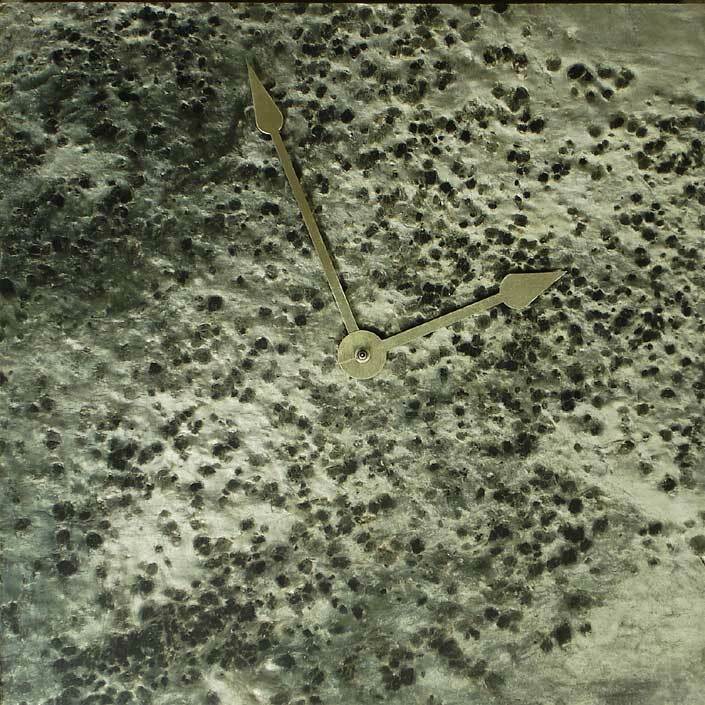 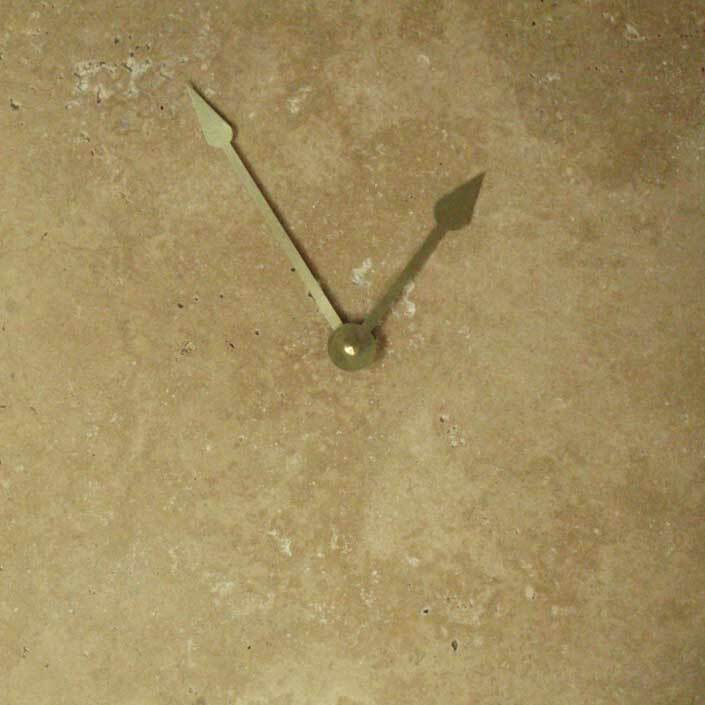 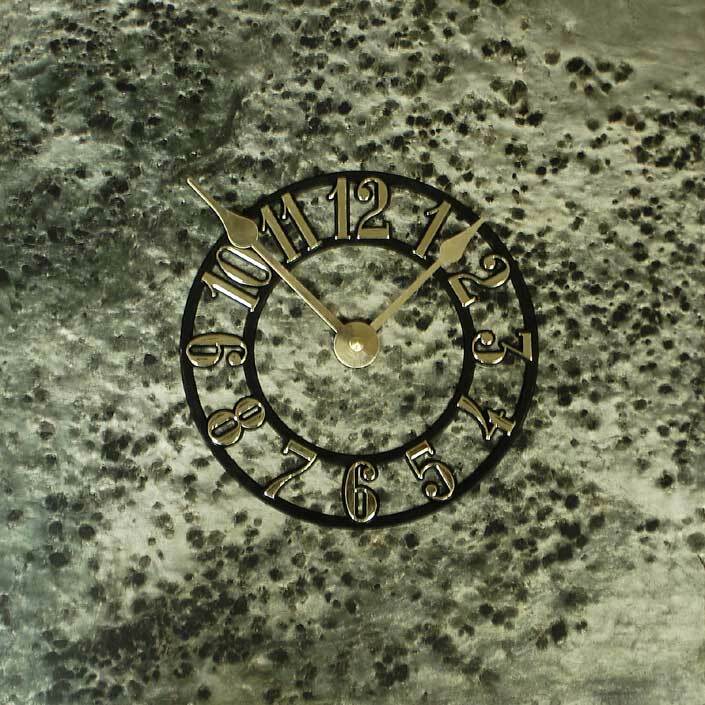 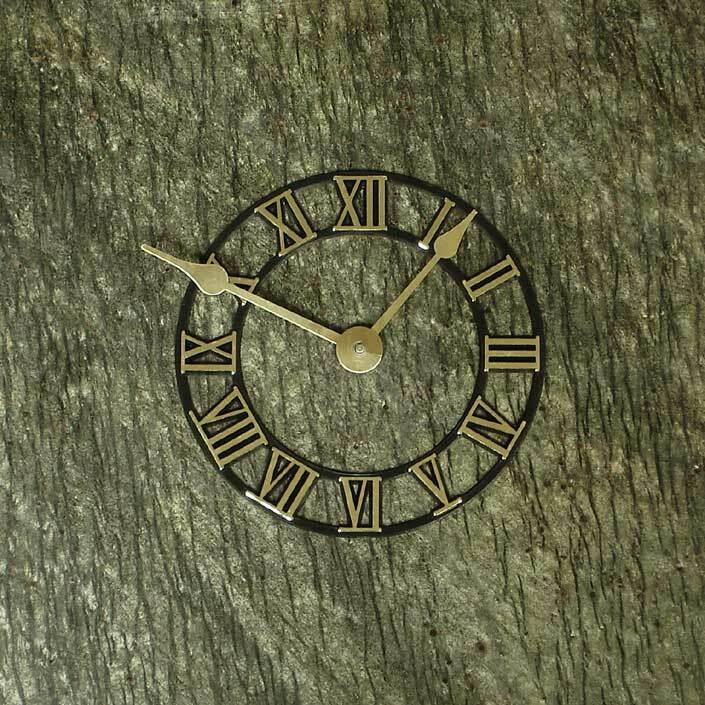 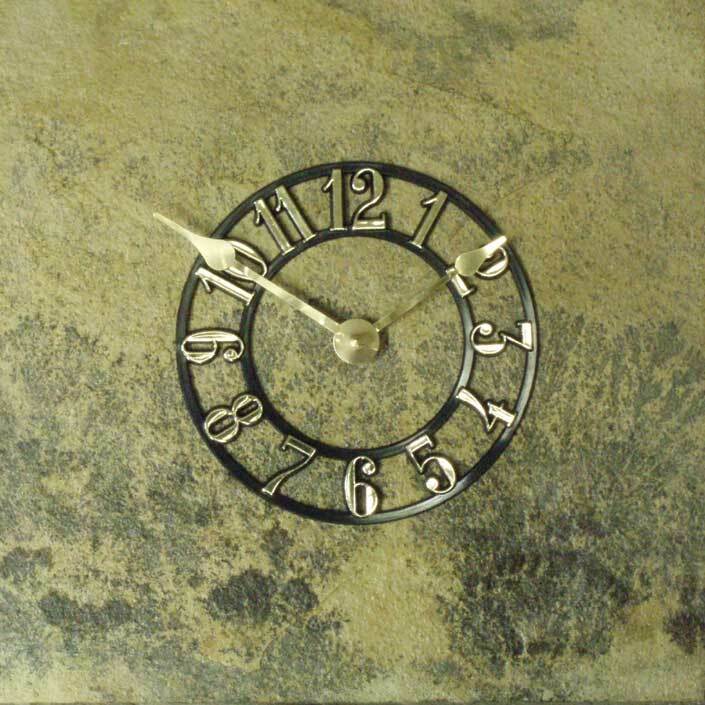 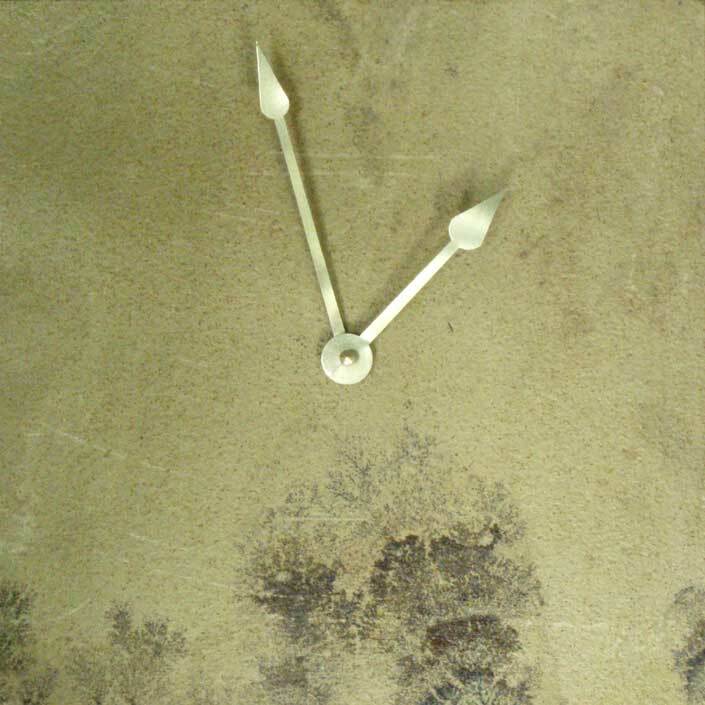 While every green gold wall clock we sell is a one of a kind piece, the colors and formations within it tend to run consistent across stones. 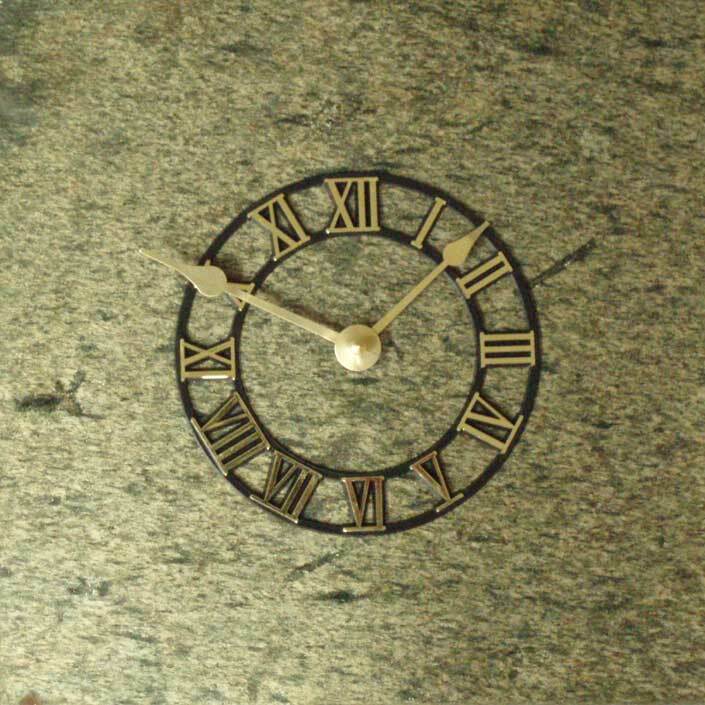 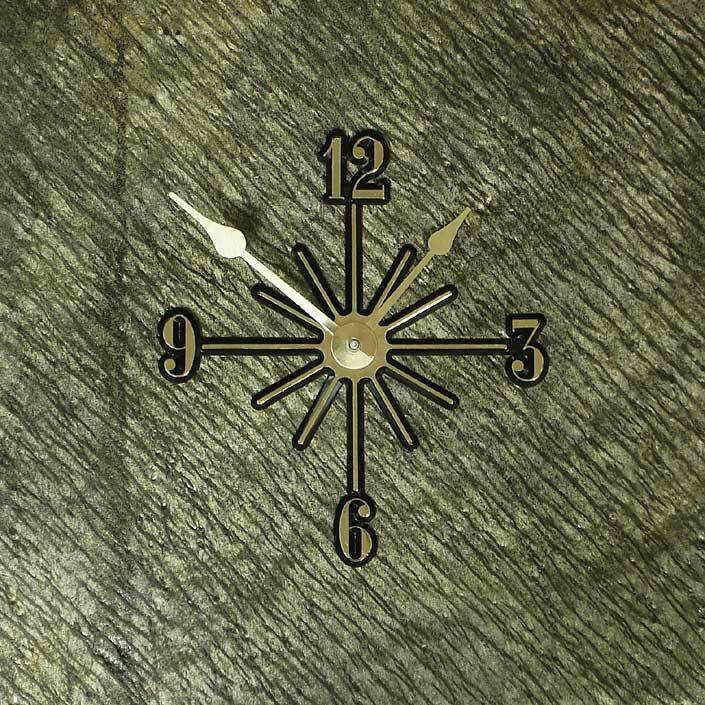 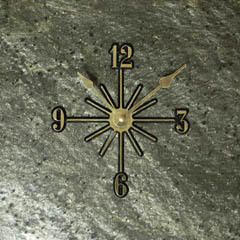 This means the pictures seen here provide a good representation of the clock you will recieve.